ASTANA -- A voluntary resettlement of Kazakhs from the south to the north of the country is yielding positive results, analysts say. Through the programme, Kazakhstan is trying to rectify a long-standing demographic imbalance that, if not fixed, would have 55% of the population living in the south by 2050, Health Minister Tamara Duissenova warned in 2016. Since the south is much smaller geographically, this would mean the south would have four times the population density of the north. The move also is in part related to concerns over potential Russian aggression that have circulated in Astana in recent years as the Kremlin waged war in Georgia and Ukraine. The Kremlin in the past has cited the protection of ethnic Russian minorities abroad as a pretext for invasion. In March 2017, sociologists and political scientists at a session of the PaperLab discussion group in Astana noted several times that migration to the north aids the goal of increasing the population of ethnic Kazakhs in those regions, Press-unity.com reported at the time. Last year, 1,600 Kazakhs, or 408 families, made the northward move as part of the programme. This year, 9,000 Kazakhs are already planning to shift in the same direction, according to the Ministry of Labour and Social Protection of Population. Under the programme, settlers are moving from the South Kazakhstan, Almaty, Zhambyl, Kyzylorda and Mangystau provinces to the East Kazakhstan, North Kazakhstan, Pavlodar and Kostanay provinces. Those moving to the north are offered work, "settling-in" money, a rent subsidy, plots of land, training for a new career and even mini-grants for entrepreneurial activity. "We offer jobs to all members of the family who can work," Anuar Ilyasov, an employee of the North Kazakhstan Province Employment Centre, told Caravanserai. "Every settler receives material assistance, which is now 84,000 KZT ($255)." A relocating family receives a rent subsidy for a year, he said, adding that if the settlers purchase their residence, officials pay out the subsidy immediately. "Depending on the number of members of the family, the amount paid for rent may be up to 860,000 KZT ($2,600) per year," he said. "This money is sufficient to rent an apartment or a house." Authorities are also developing policies to support start-up businesses, which are eligible for grants of 240,000 KZT ($730). "These grants are meant to support those who want to be entrepreneurs," Ilyasov said. "Examples include when settlers are breeding livestock, opening grocery stores in the countryside and processing milk." Northern employers also will receive subsidies for hiring at least five newcomers from the south for three years, according to the Ministry of Labour and Social Protection of Population. Employers will receive 1 million KZT ($3,000) for each employee. Valerii Kurpatov, an entrepreneur from Petropavlovsk, said he is prepared to hire several employees for his furniture workshop. "We need workers with experience," he told Caravanserai. "But we can take trainees and teach them." "I've already talked to two candidates from Zhambyl and South Kazakhstan on the phone," he said. Employers welcome the resettlement programme because "the lack of workers [here] can be felt", he said. 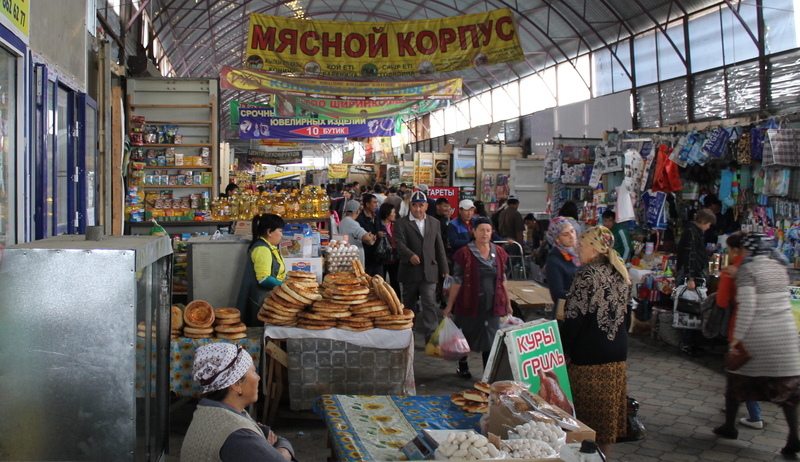 "The southern regions are overpopulated; the northern ones are underpopulated," Rauan Dautaliyev, a political scientist from Shymkent, told Caravanserai. "The programme can solve these problems. It provides good incentives to go voluntarily." Authorities seek primarily to encourage youths, graduates of vocational schools and Oralmans (ethnic Kazakhs who immigrated to Kazakhstan from nearby countries), he said. "Resettlement is only now starting to work at full force," he said. "At this time, the authorities are notifying the public and advertising in the provinces." "Imagine a family facing problems with income and housing," he said. "After moving to an area that needs labour, they can solve their problems ... That's why the programme is generating interest." Moves northward are advantageous "for the state, the settlers and the employers who receive their dividends from resettlement", he said. "But families who move should be realists," Dautaliyev cautioned. "No one will simply solve their problems. You have to work ... the state will provide good support." Darkhan Amirkhanov of Shymkent, a participant in the resettlement programme, intends to move to Akzhar District in North Kazakhstan Province with his wife and his three children, ages 2, 4 and 7. "It's tough finding work in the south, and we don't have a home of our own," he told Caravanserai. "But we have savings -- plus we will get 'settling-in' money and we are planning to buy our own home in a mountain village. We will raise our own livestock." Amirkhanov said that he intends to work as an auto mechanic or a driver. 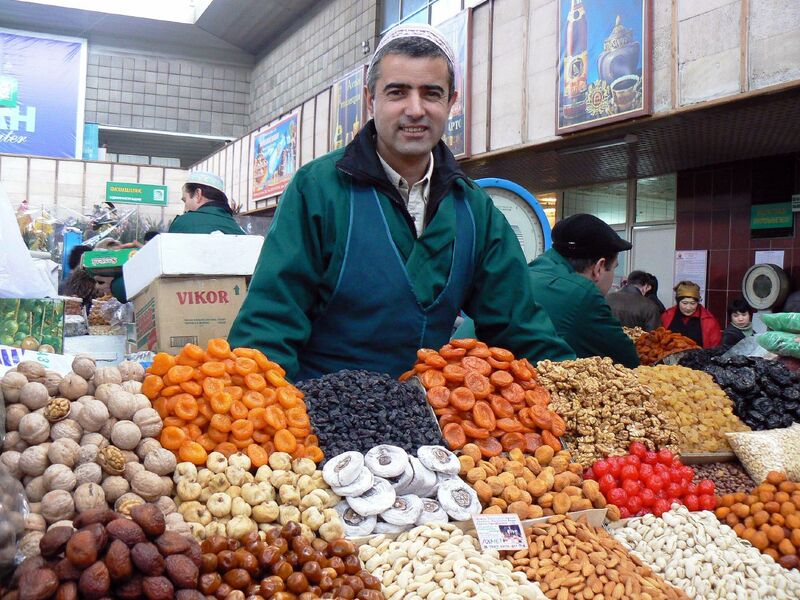 While he was still in Shymkent, he received several job offers in Akzhar District. "Some of our acquaintances have already moved under this programme," said Amirkhanov. "My friend found work and received all the money promised. His life has improved. I hope it will be good for us too." This is a very positive step!!! Enbek.kz, an electronic job placement centre launched in January, has already helped 19,000 Kazakhstanis find employment across the country.